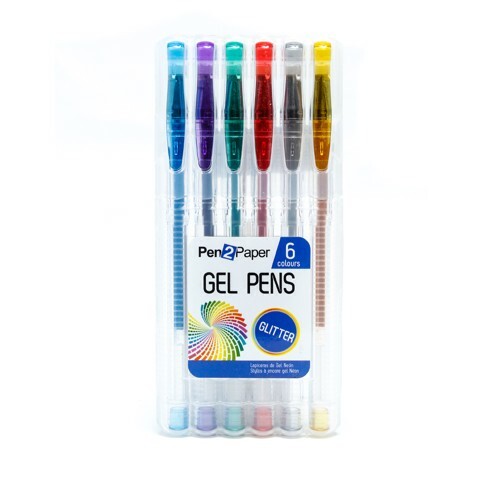 Pens Gel 6Pk 4Asst. Brass Tip: 1.0 l Pipe Length: 122mm l Diameter: 245mm l Pen Clip and Colour Logo. Pastel l Glitter l Metallic l Highlighter. Pen Body: AS Refill | Brass tip. 0 Packaging: PP Plastic Folding Box l SRT.